Vitruvius Pollio. Di archiettura. 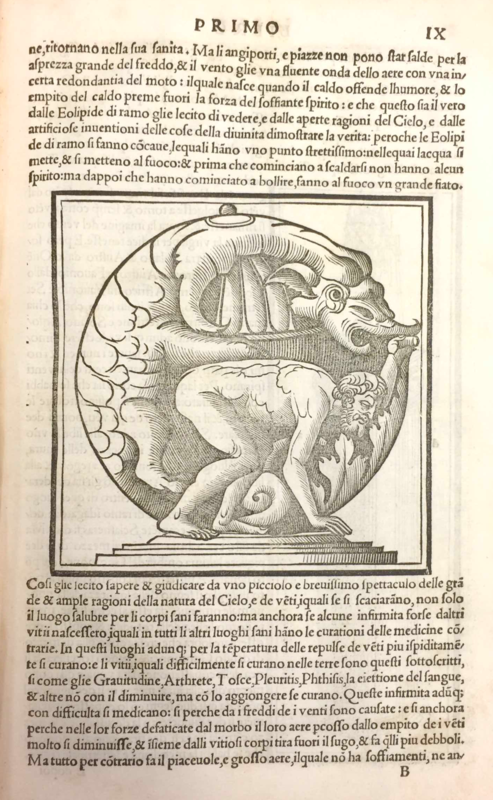 Venice: N. de Aristotele detto Zoppino, 1535. Illustrated. Two inscriptions on final (blank) page mentioning Sig. Antonio Mocenigo and Sig. Zuanne Scalfavoto. With a bibliographical note by Sydney Cockerell. Provenance: Morris (purchased for 16s.). — Richard Bennett. — Sotheby 1898, lot 1197 (sold to Henry Wellcome for £1 1s.). — Henry Wellcome. — Wellcome Library (Closed stores EPB / D 6647/D). References: Ellis valuation, fol. 47 (£1). — MS catalogue (1), fol. 5. — MS catalogue (2), no. 441.